The cottages can be found in various counties around the UK and Ireland, with Gwynedd, Lincolnshire, Dorset, Norfolk, Argyll, Kent, North Yorkshire, Worcestershire, Derbyshire, Isle of Wight, Shropshire, Dyfed, Northumberland, Somerset, Gloucestershire and Wicklow all getting a mention. 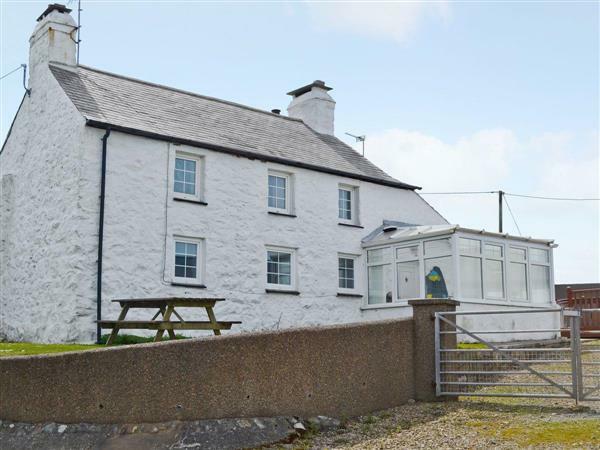 There is one particular holiday cottages to bring to your attention this week: "Porth Colmon Farmhouse". Porth Colmon Farmhouse in Porth Colmon, near Pwllheli sleeps 6 people, and can be found very close to the beach. In fact, lay in the hot tub at Porth Colmon Farmhouse and you can see the sea. Oh yes, Porth Colmon Farmhouse has its own private hot tub.